For the last few years the girls have been lucky enough to have a Playmobil Advent Calendar kindly bought by Grandma. They love opening it each day, setting the scene and finally finishing it on Christmas Eve. I think it’s a really lovely way to lead up to Christmas. 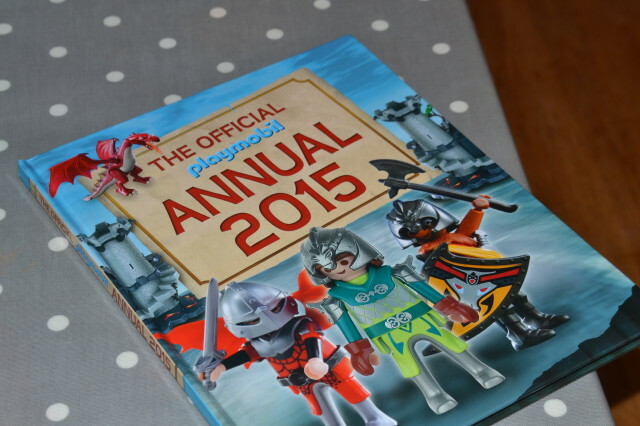 As part of our role as Playmobil Ambassadors we were sent one of the 2014 Calendars to review. 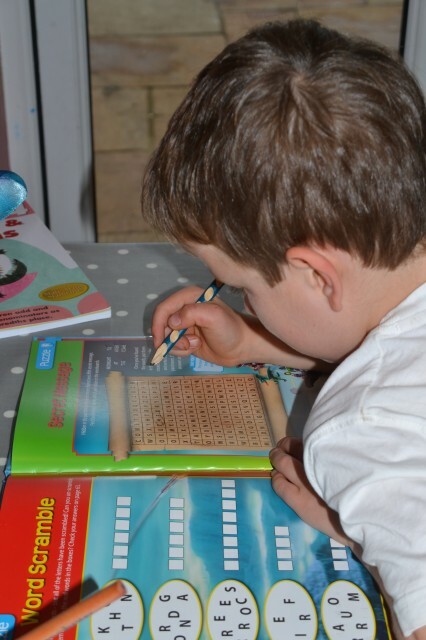 It did feel a bit wrong opening a whole calendar in one day, but we used it as a number recognition exercise for H, who was utterly overjoyed at such a naughty task. 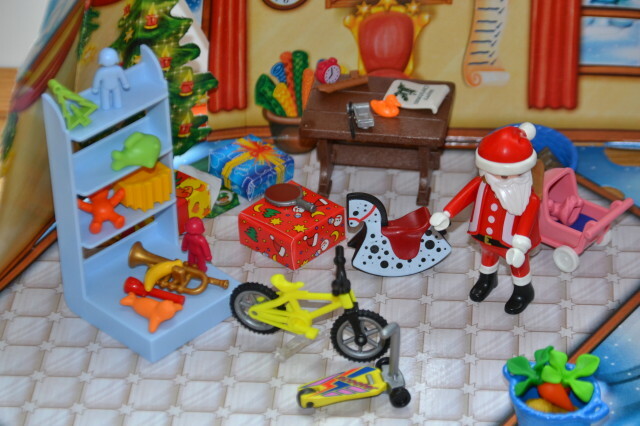 The Santa’s Workshop Calendar is lovely and comes with a LOT of Playmobil for £18.99. As always with Playmobil I love the small details. The wrapped presents for under the tree, the little camera for the table and the cheeky elves. We’ve now put this away until nearer Christmas, but H and her big sister played with it for days after opening. They loved setting the Christmas scene, deciding who would get each present and feeding the reindeer. I know this is something that we’ll carefully pack away each Christmas and bring out again the following year. Playmobil have a great selection of advent calendars, we like the look of the Police one too. If you have children who love Playmobil, this Annual would be perfect, it’s full of puzzles, word searches, codes to break and lots of other great activities that kept my 7 year old very happy one rainy afternoon. My girls are desperate for the camping set this year and my 7 year old really wants to try the take along football set, both of which look great. What’s on your children’s Christmas lists? We also LOVE these sets. 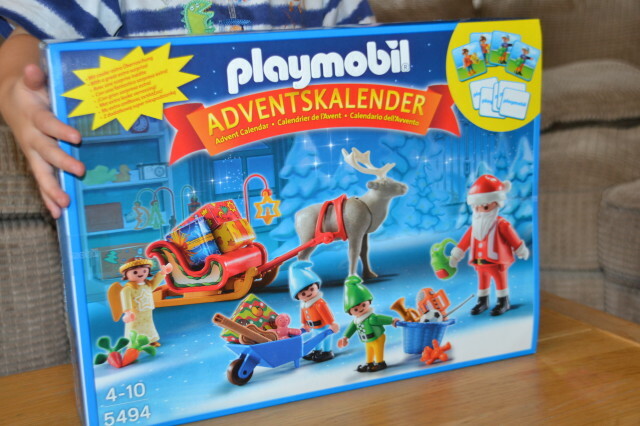 I am very excited about another Playmobil filled Christmas. We were sent the advent calendar and annual for the purpose of this post.